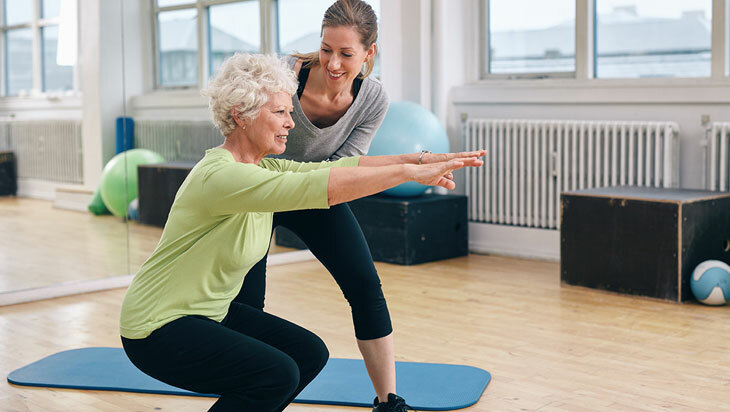 The Level 3 Award in Designing Exercise Programmes for Older Adults with Entire Training aims to develop understanding of exercise designed for older adults and the considerations based on health and adapting exercises for their specific needs. For £250, the exclusive course will give you knowledge on considerations when participating in exercise at an older age and the implications on the bodies systems. You will also be covering an understanding of the medical components during old age and the implications of specific medicines and treatments on the body. You will also touch on the motivational and communicative abilities required to effectively work with the older population. The online based qualification is based around two units assessed via a case study portfolio, assignments and worksheets. Expanding into training older adults is a brilliant opportunity to accentuate your knowledge and add to your continuing professional development. Whether you have an interest in designing exercise programmes for older adults or just want to learn more in this field, this course will help develop a direct understanding of the exercise needs of older adults. Not sure if this course is for you? Why not request a callback and speak to a member of our friendly team? Entire Training will ensure you acquire the top level of knowledge within the subject area, including exercise programming and exercise variations to further develop your professional experience. Our award winning tutors have over 20 years’ experience in the health and fitness industry. Your support tutor’s aim is to ensure our students set foot into the health and fitness industry as confident, effective trainers with the necessary skill set to excel in the field. The course is exemplary for those that want to step up their career in the health and fitness industry to increase their client base. The Level 3 Award in Designing Exercise Programmes for Older Adults course is a distance learning course which is reinforced by our highly experienced tutors. Once you sign up for the course we will supply you with the required resources. The course is constructed via interactive e-learning which will give assistance to the learning of the qualification. You will be required to complete a theory exam at a chosen location close to you, this can be arranged with your tutor upon signing up. Entire Training ensures that you can complete all of our courses alongside your current job or commitments, making a career in the fitness industry accessible to all. Learners that have completed the Designing Exercise Programmes for Older Adults used the qualification to go into a variety of roles and careers within the health and fitness industry as well as adding to their current practice. If you are passionate, committed and have the drive to become the best in the industry, our qualifications will provide the support and guidance to your career goals. Contact our course consultants on 01772 910950 / 0203 841 8880 today and they will guide you through the best course options for your chosen career in the health and fitness industry. ▼ Can I pay for the course online? When you wish to secure a place on the course, you can book through our enquiry form and one of our team will be in contact with you to arrange payments. You can arrange the call to a time that will suit you. Alternatively, contact our team first and call one of our consultants on 0203 841 8880 to discuss your payment options. ▼ How is the Level 3 award in designing exercise programmes for older adults delivered? This qualification is a distance learning course, supported by experienced personal tutors. We supply you with the learning materials you need once you have made your payment. As he course is constructed by interactive e-learning, you will also be required to complete a theory exam which is arranged with your tutor. ▼ Will I be able to complete the course alongside work? At Entire Training we ensure all our qualifications are flexible, so you can complete the course alongside a busy schedule. This way you can progress with a future in the fitness industry, no matter what your job is.